All the News that’s Fit to Print – Zombies, Run! There’s been some fantastic press about Zombies, Run! in month since we launched – here are some highlights! Channel 4 News in the UK interviewed our intrepid lead developer Alex Macmillan in his bedroom, playing some great audio from the game. The clip was also syndicated to various others networks like ABC and SBS in Australia, so you may have seen it there! 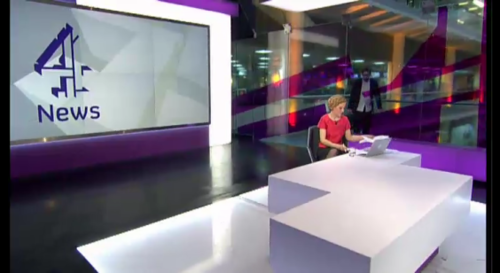 Channel 4 – we salute you! Other features were made by WSILTV, WSAV, NBC Chicago, and Fox News, plus others that I’m sure we’ve missed. It’s not all about the video though – Zombies, Run! has been on a number of great podcasts like BoingBoing Gweek, where Michael Pusateri’s named us as his favourite app, with some nice chat with Matt Haughey (Metafilter founder and ZR Kickstarter backer), around 49:30 in. 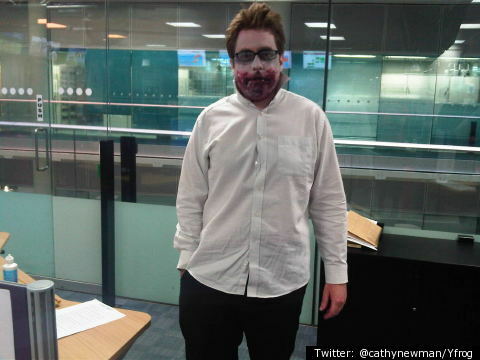 This Week in Tech (TWiT) has also been very kind to us, with Zombies, Run! being Mac guru Leo Laporte’s Pick of the Week on the Macbreak podcast, and Tech News Today included a great video call-in from player Sean Palladino (around 32 min in). Returning to the UK again, we’ve had a perfect storm of press in the broadsheets – not just reviewed but also featured on The Observer, plus recently stories in the Daily Telegraph, and the Independent. Finally, we want to do a callout to the ever-awesome fuckyeahzombiesrun Tumblr and also the Reddit r/runner5 community – and everyone else who’s reviewed, tweeted, and spread the word about us!